Vermilion; they call it Calder red. Constructivist; smaller pieces joined together to form one large stabile. Mies van der Rohe backdrop: Forty years later, less is still more. 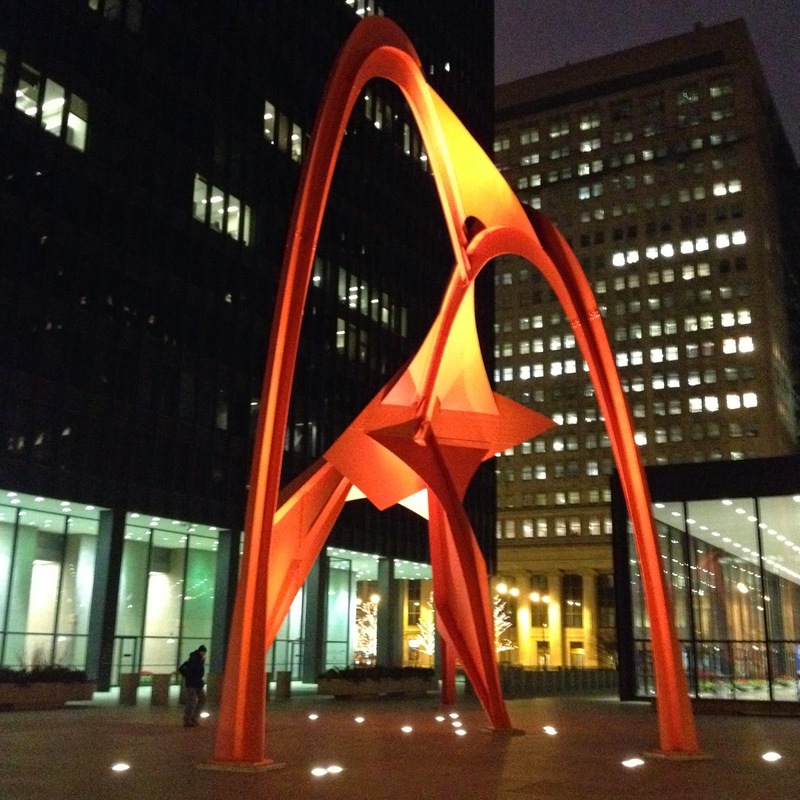 In 1974 Alexander Calder's 'Flamingo' was unveiled at the newly christened Federal Plaza in the 'Loop' district of downtown Chicago. Standing more than fifty feet high and complex in its artistic restraint, this promontory sculpture catches my eye each time I pass it.